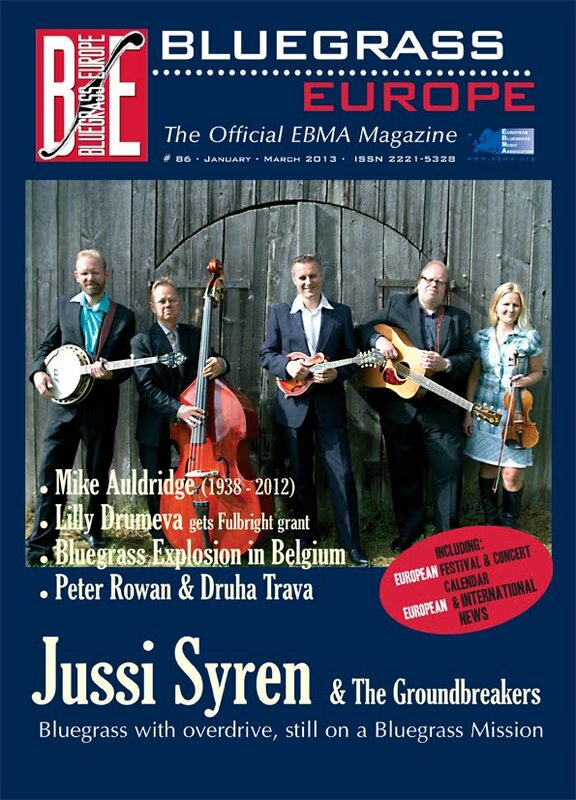 The European Bluegrass Blog: BE#86 finally out! Please note that you may place advertisements in this carefully edited and attractively designed magazine. More ads are needed to finance the production and mailing of the printed magazine. Still at this point, EBMA's expenses on BLUEGRASS EUROPE are higher than what subscriptions and advertisements are generating. Advertising could be especially interesting to companies outside of Europe, touring artists, record labels with new CDs... 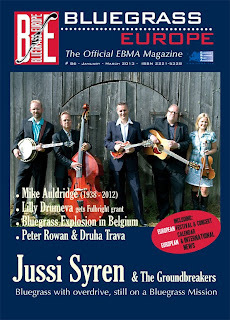 Please check out www.bluegrass-europe.org for more information. We trust you will enjoy this current issue and look forward to you feedback!